We hear about this disease all the time. It’s something that has to do with too much sugar intake. But is that really all there is to diabetes? Diabetes is a condition that occurs when the body is no longer able to produce insulin on par with the sugar or glucose level in our blood. But how does that happen? Think of it this way. Glucose is a molecule that can be broken down to provide energy. On its own, glucose cannot enter our red blood cells (which is a primary component in blood). A hormone called insulin is needed to act as a key. It guides the glucose molecule into the red blood cells before they can be transported throughout the body for nourishment. Without insulin, glucose stays in the bloodstream in higher amounts than necessary. These series of events result in the disease that we now know as diabetes. Also known as Insulin-Dependent Diabetes Mellitus – this type of diabetes typically develops in childhood. Type 1 Diabetes is characterized as an autoimmune disorder where the body is attacking the cells in our pancreas that produce insulin. To remedy this, patients afflicted with Type 1 Diabetes turn to insulin shots or pumps to keep their blood sugar levels normal. 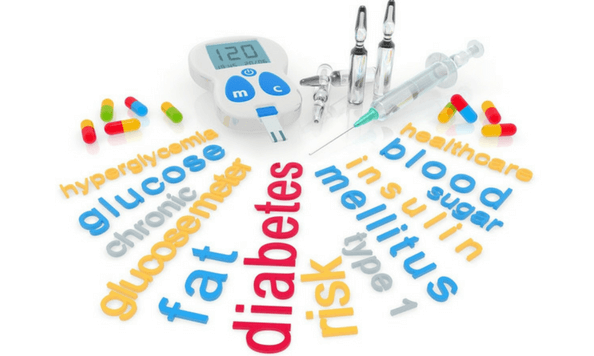 In comparison to Type 1 Diabetes, Type 2 Diabetes is usually acquired during adulthood. This is also known as Non-Insulin-Dependent Diabetes Mellitus. It has various causes wherein genetics and lifestyle play a major role. This can be prevented by maintaining a healthy diet along with daily exercise. Blood sugar levels spike during pregnancy which can lead to Gestational Diabetes. But after the baby is born, glucose levels in the blood should return to normal. It is important to monitor blood sugar levels during pregnancy so it does not progress to Type 2 Diabetes. Orlando Pharmacy gladly brings you this little nugget of knowledge. Being properly informed is one of the tricks to staying healthy. Do you need prescription refills for your or your loved one’s insulin medication? Or has your doctor advised you to be conscious of your blood sugar levels? If you have any concerns about your prescription and what options are available, our skilled pharmacists will be happy to assist you. Orlando Pharmacy, an Affordable Pharmacy in Orlando Florida provides a vast selection of branded drugs and their generic counterparts. Being a Retail Pharmacy in Orlando, Florida, we also carry quality medical supplies, such as blood glucose monitoring kits that can aid you in managing your blood sugar levels. We are located at 2909 N Orange Ave., Ste. 112 Orlando, FL 32804. Orlando Pharmacy is open from 9:00 AM to 5:00 PM, Mondays through Fridays (except during federal holidays). You can also send us an email at info@orlandopharmacy.net, or give us a call at 407-898-1331. We’ll set you up with what you need. This entry was posted in Diabetes and tagged disease, Pharmacy, prescription refills, staying healthy, Understanding Diabetes. Bookmark the permalink.